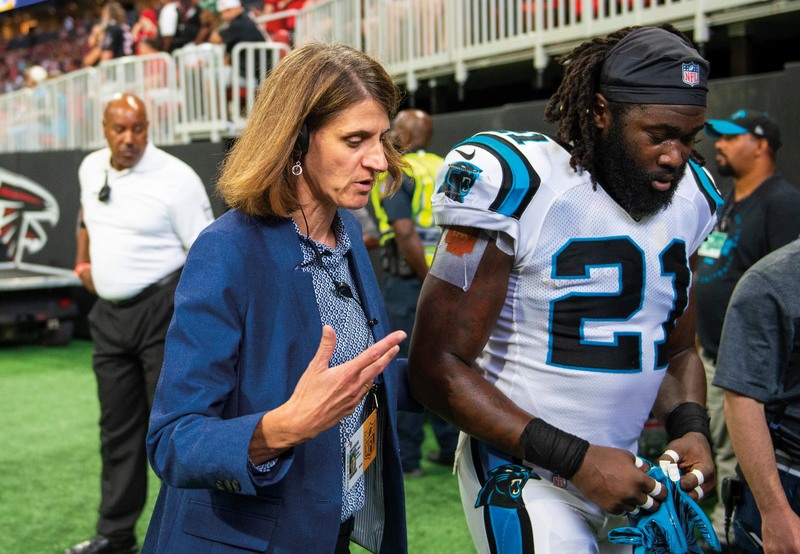 Nancy J. Gritter, MD, grew up in Indiana, and while she roots for the Indianapolis Colts somewhere deep inside, she is fully devoted to the Carolina Panthers. The NFL franchise is more than a Sunday afternoon hobby; it is one of her full-time jobs. The players are not simply sports icons; they are her patients. 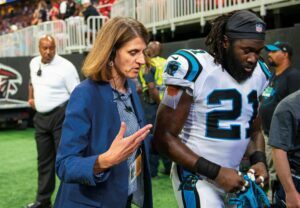 In September 2018, Gritter was named lead internist for the Panthers, making her the first woman to serve in that role for an NFL organization. Essentially, she is the primary care physician for the football players, their families, and members of the organization. 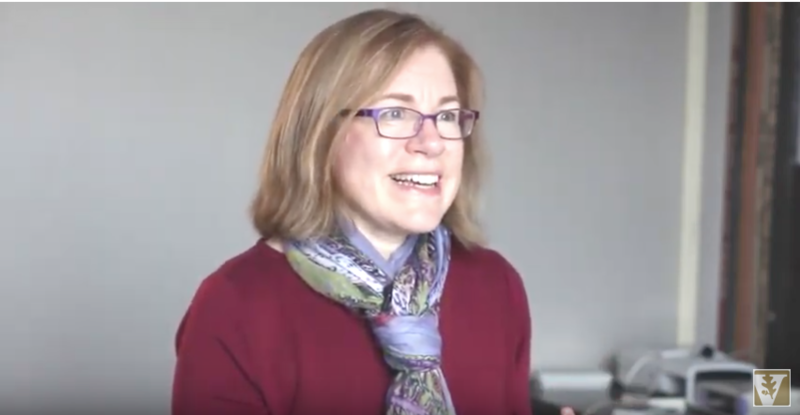 Gritter attended medical school at Indiana University and came to Vanderbilt University Medical Center in 1992 for her internal medicine internship and residency, chief residency and nephrology fellowship. She joined a nephrology practice in Charlotte, North Carolina, in 1998. A call from the team internist for the Panthers set her on a trajectory she had not yet imagined for herself. Over the years, she built a relationship with the other physicians on the Panther team, assisted with pre-season patient physicals and soon became a trusted provider. When Heyer stepped down from his role as head team internist, Gritter assumed the top role, but first, she had to complete a second fellowship — in sports medicine. 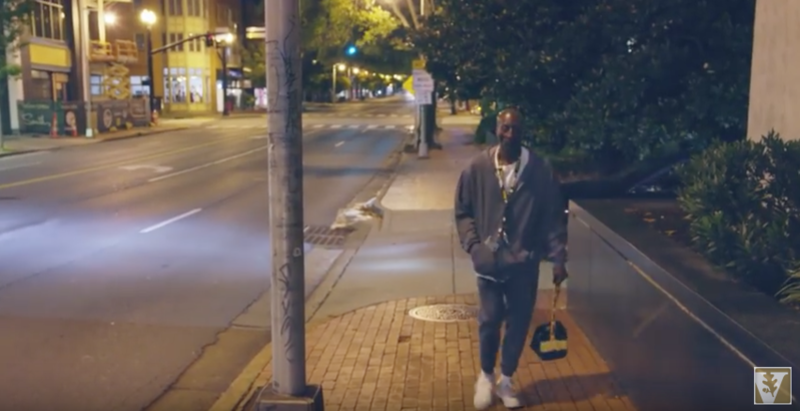 “When you finish medical school and you start your first year of internship, you’re a PGY-1, postgraduate year one. I became a postgraduate year-24 and 25,” Gritter jokes about her late-in-life fellowship, which she completed at Atrium Health in Charlotte. She is now triple board-certified in internal medicine, nephrology and sports medicine. Caring for an NFL team is a year-round job that begins in February with medical evaluations for recruits. In the spring the players report for organized team activities, and in August the pre-season training camp begins. The physicians are there every day to manage heat illness, heat acclimation, dehydration, injury, concussions, medical illness and preventive medicine. The regular season lasts for the next 18 weeks, and Gritter travels with the team for away games.